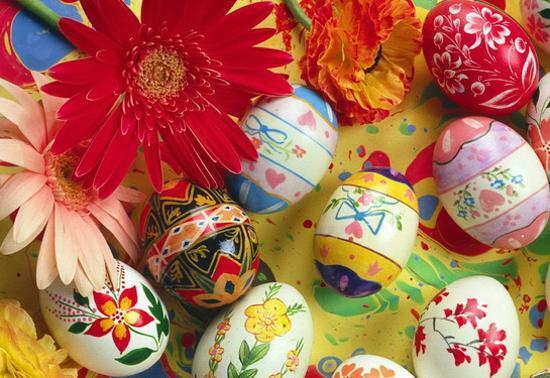 Easter ideas vary in different countries, but evoke wonderful feelings in spring, and uniting believers and atheists. 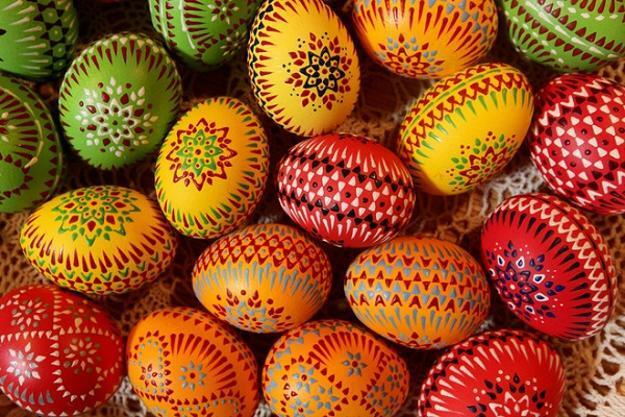 Fun Easter ideas, delicious food and colorful Easter eggs decoration create joy and make all people smile, welcoming the beautiful spring season. 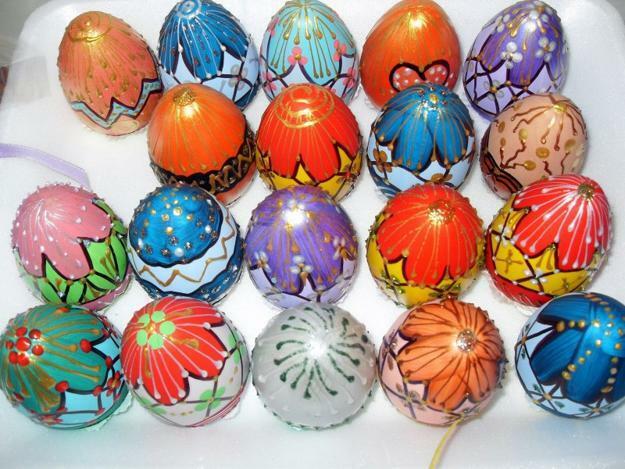 Orthodox Easter eggs decoration ideas include simple dyeing, stenciling and spectacular wax painting techniques. 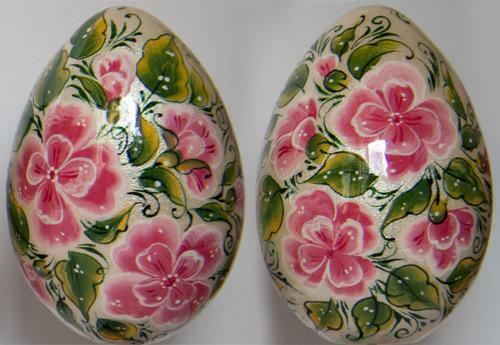 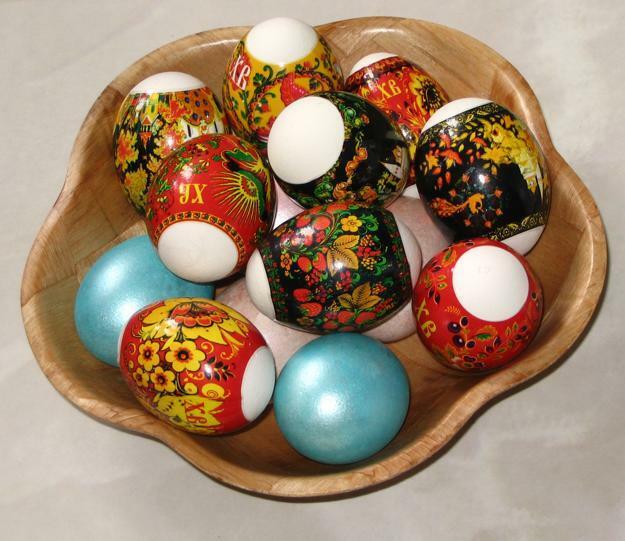 Lushome shares a few tips and painting ideas for traditional Russian and Ukrainian Easter eggs decoration with intricately painted patterns and bright colors. 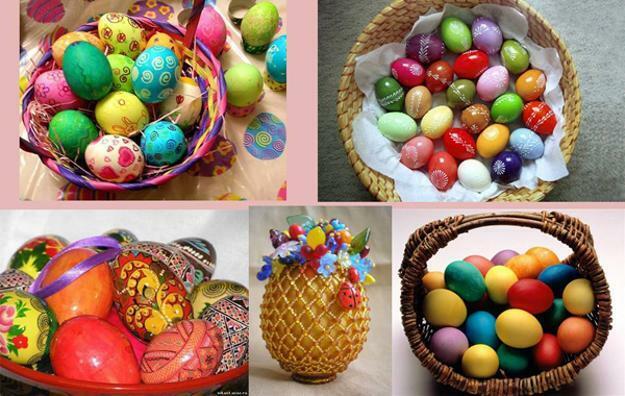 Originally these Easter ideas and complicated eggs decoration patterns symbolized the scourging of Christ. 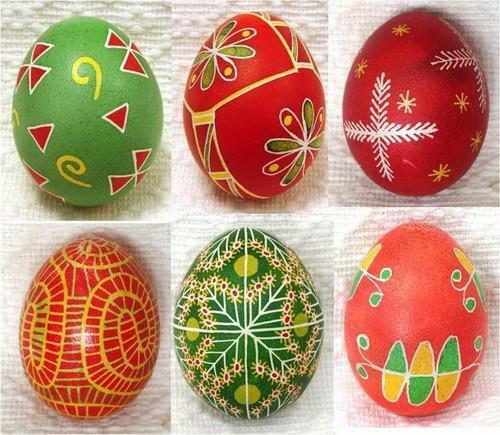 Colorful dyes and painting with transformed the Easter eggs, created only on special day of the Holy Week – Holy Thursday and Good Friday, into bright and unique holiday decorations and symbolic food. 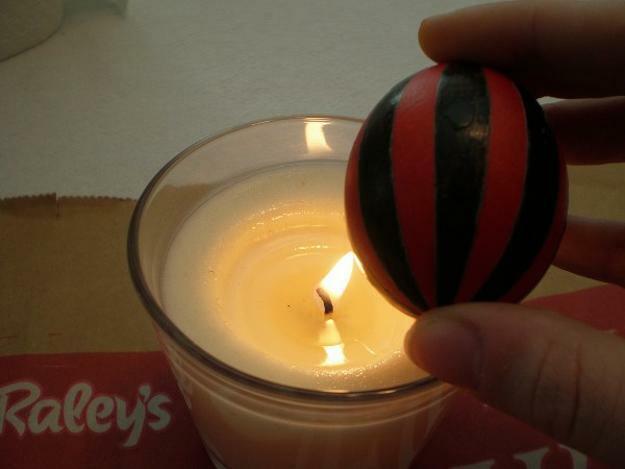 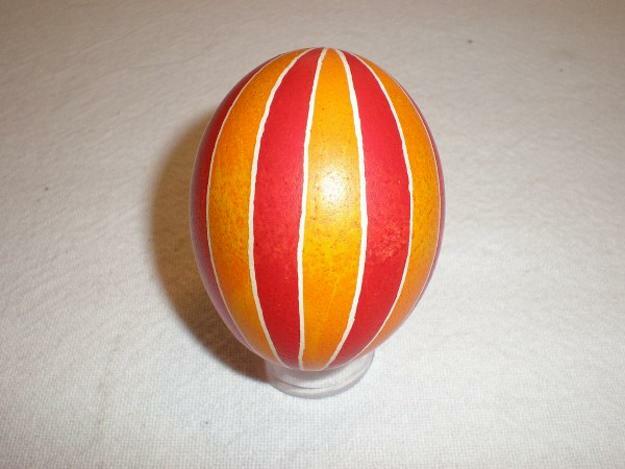 Initially, the Orthodox Easter eggs were red, orange and light brown. 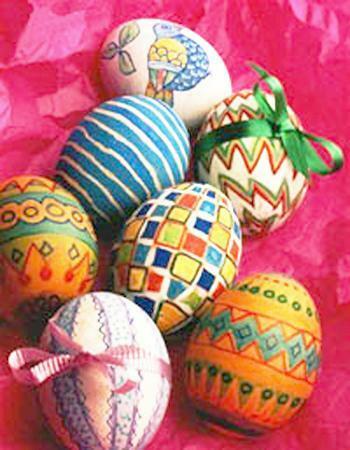 Later Easter eggs decoration patterns began to use other colors – yellow, green, blue and black. 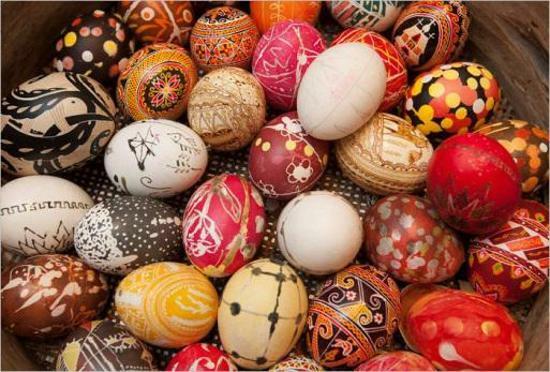 The first natural dye was prepared from onion peel by boiling it in water. 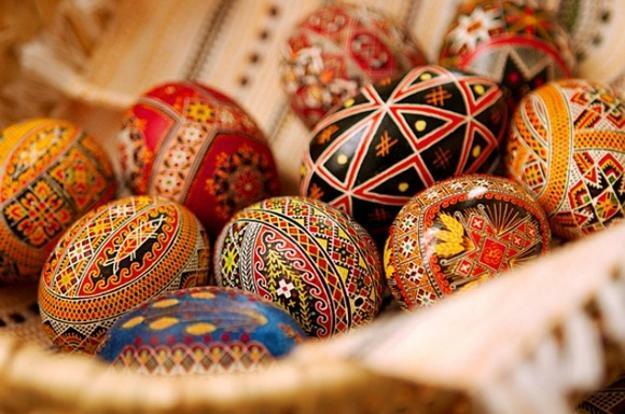 Yellow dyes was prepared from saffron, cumin, cooked grains, weak broth of onion peel and lime tea steep. 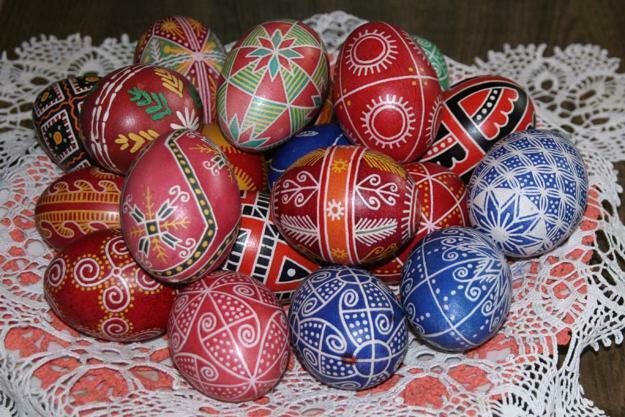 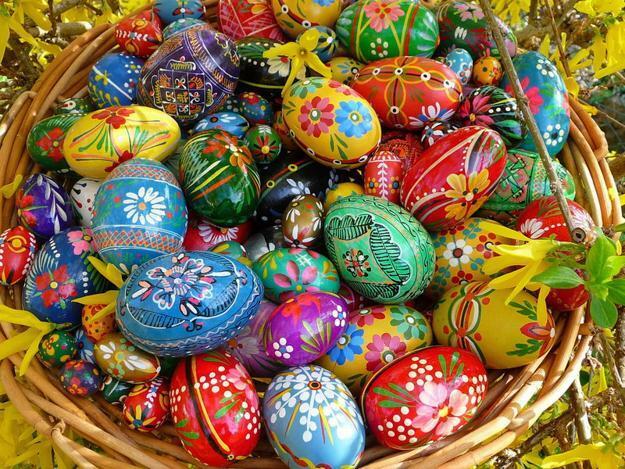 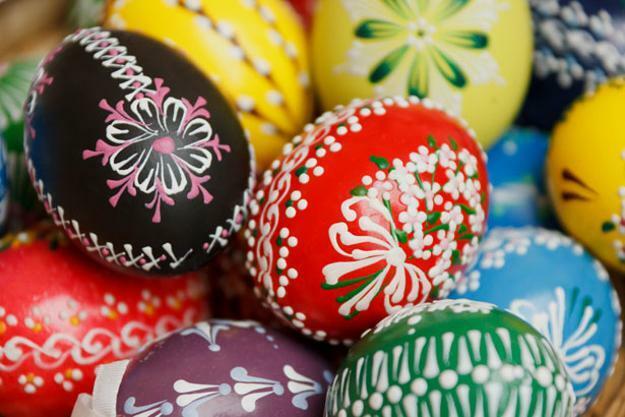 Orthodox Russians and Ukrainians used edible herbs, local and exotic plants to prepare dyes for Easter eggs decoration. 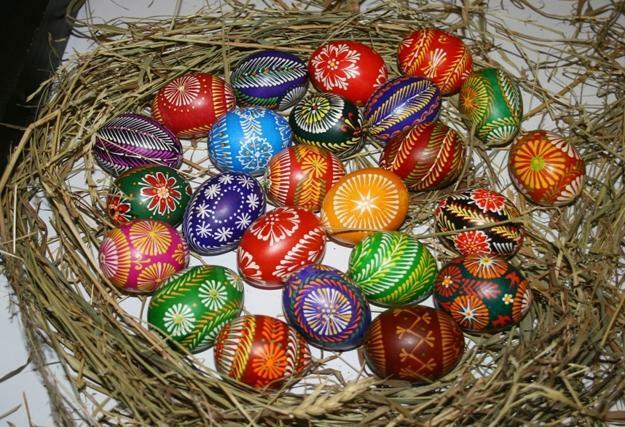 Green dyes were made from clover leaves, rosemary and parsley. 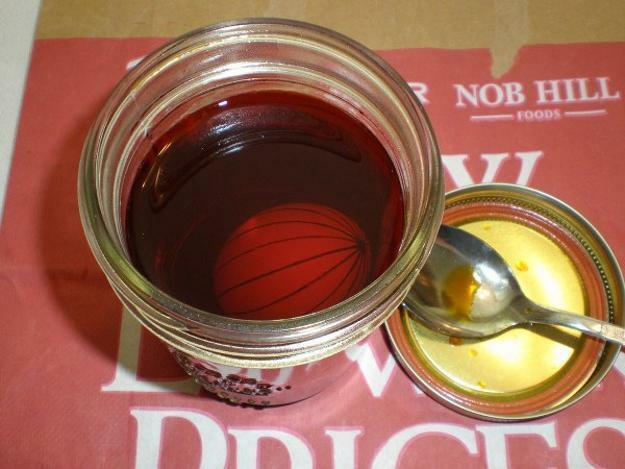 Black dyes from coffee or infusion of rusty iron, lowered into the sauerkraut juice and a few drops of vinegar. 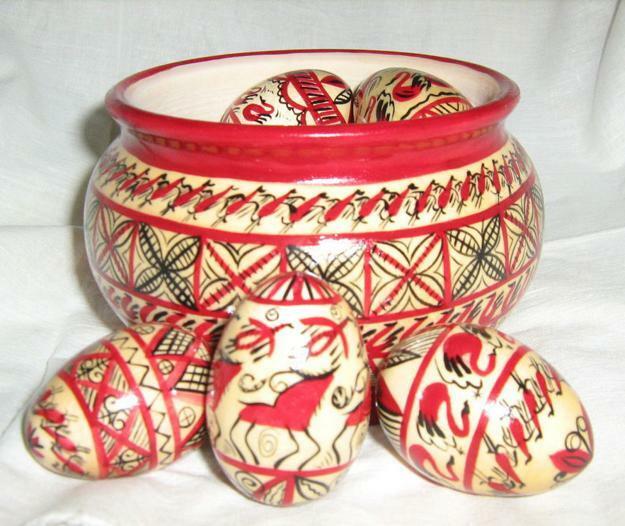 Depending on the method of Easter eggs decoration, various Orthodox techniques were called Krashenki, Pysanki and Yaychata. 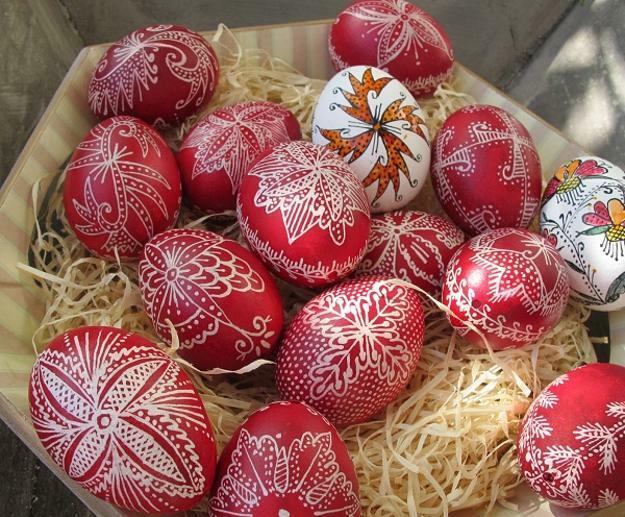 Later, the Russians and Ukrainians started to make Easter eggs either very simple or expensive and exclusive. 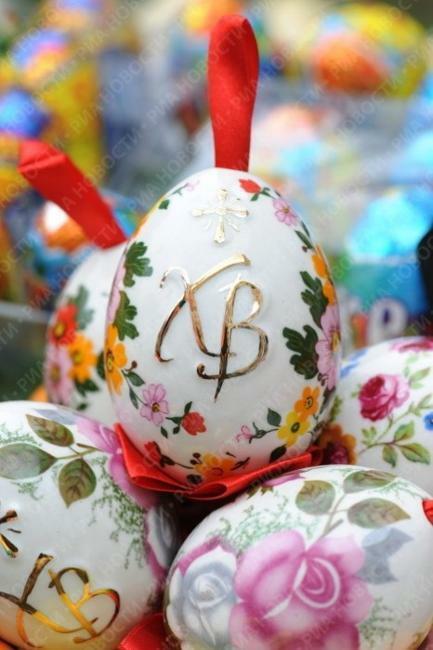 Eater eggs, created of china, silver, enamel and decorate with traditional ornaments, beads and gemstones, make fabulous gifts and look like artworks. 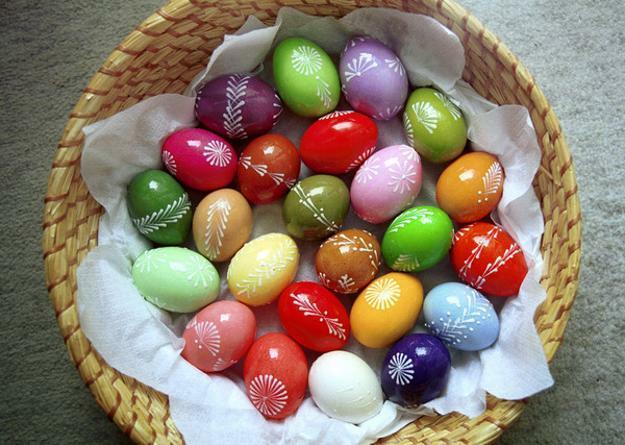 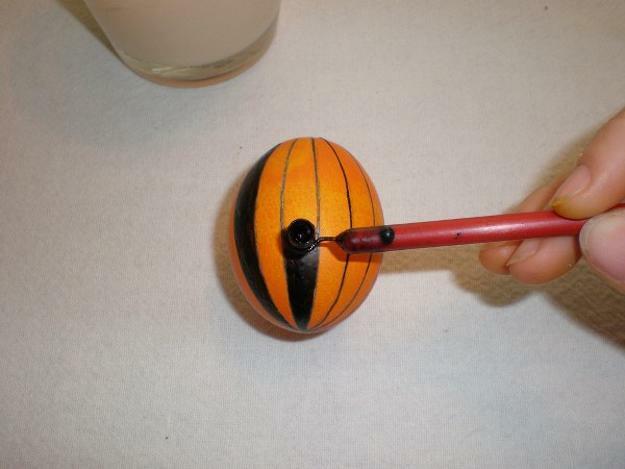 To design Easter eggs decoration patterns with wax you need a pencil, a brush, wax, – beeswax has the lowest melting point and the most easy to use ), natural or food dyes for eggs, lots of patience and great inspirations. 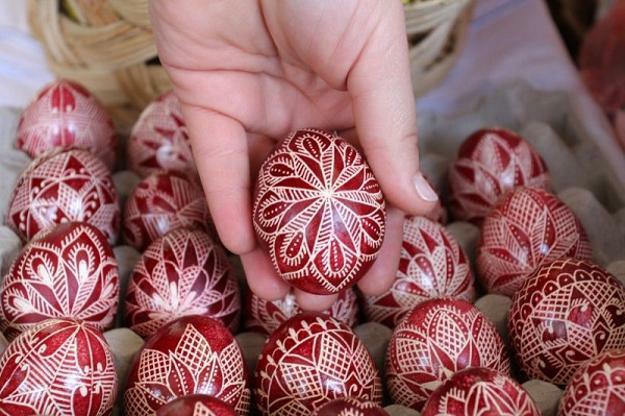 To begin take a boiled white egg and draw your sketch of the decoration pattern. 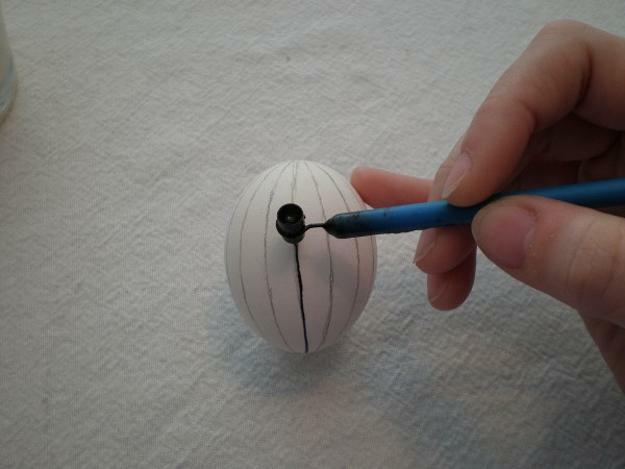 Beginners can use ready-made stencils. 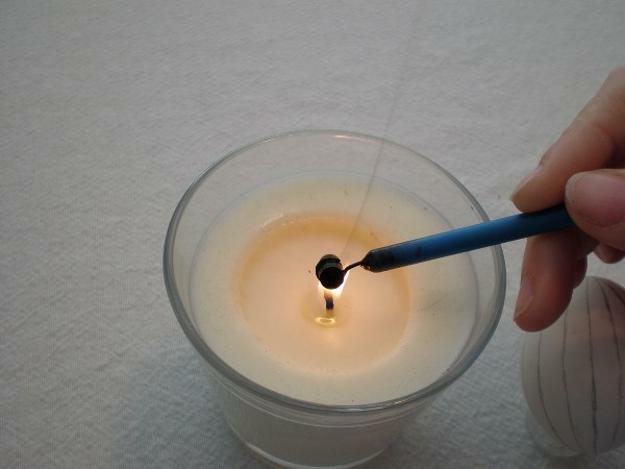 Melt a little beeswax, put it on the pencil lines, repeating your decoration pattern.